L-systems was used to generate ideal and realistic tree branching. Morphological symmetry and self-similarity were exploited to show global development in terms of local rules. A method to simulate growth of ideal and realistic 2D trees with parameters branching angle a and branching ratio b is presented. We adopt a technique for morphological characterization of tree foliage by means of spatial analysis. From ideal trees, a-dependence of foliage profile and b-dependence of foliage mapping was exhibited. Modeling realistic trees was then explored by setting distribution-based parameters. Images of real Acacia trees were sampled and characterized to obtain Pa and Pb probability distributions implemented to realistic tree simulations. Incorporating internal and environmental factors can still be made to provide deeper understanding of principles governing branching biological systems. R. Crisostomo and J. Bantang. 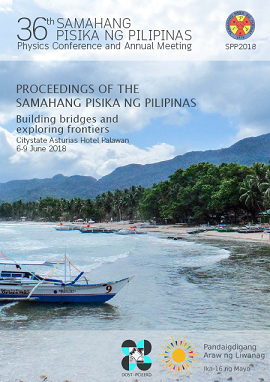 Simulation and characterization of tree branching morphologies based on real tree images, Proceedings of the Samahang Pisika ng Pilipinas 36, SPP-2018-PC-17 (2018). URL: https://paperview.spp-online.org/proceedings/article/view/SPP-2018-PC-17.